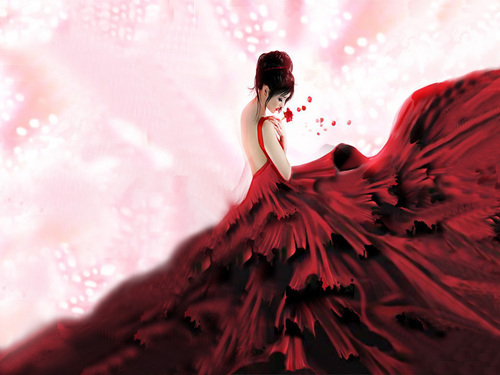 Princess. . HD Wallpaper and background images in the 白日梦 club tagged: beauty art fantasy. This 白日梦 wallpaper might contain 晚宴礼服, 正式的, 晚礼服, 正式晚礼服, 吃饭时穿着得体, 正式的晚礼服, 鸡尾酒裙, 护套, 鸡尾酒礼服, 鞘, 晚礼服, 袍, and 礼服. ooohhh...how beautiful! what a dreamy dress! it seems as if it were made of red carnations!